Looking for a way to replace the easy “Pam spray” in your baking? 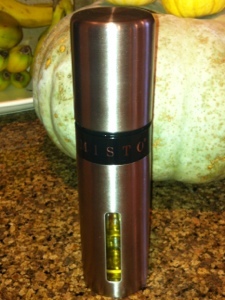 This Misto bottle can be filled with your Hugh quality olive oil, then pumps up for 15 seconds of aerosol type spraying. 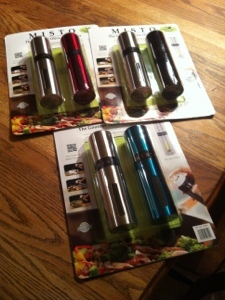 Perfect for greasing pans for baking, or as an easy way to distribute oil on veggies for grilling. Pam is made with toxic refined oils…and then new olive oil versions still have emulsifiers and propellant chemicals added. This is a way for you to avoid all that, and it’s much more sustainable than a can that goes in the landfill. Costco is selling two packs of these handy things for about $16. One for yourself, and one to give as a Christmas gift!